I'm just checking over the things left on the journals on the XO M-stock machines I lent to the Bozeman and Billings (MT) LUGS. Someone in Billings left this. What is it? 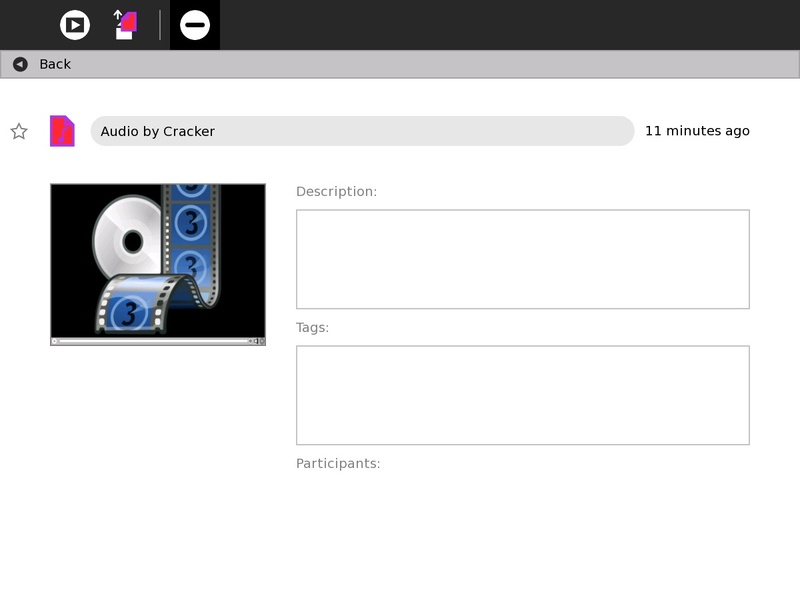 The journal says it is "Audio by Cracker" (the name of the computer is Cracker because it has a small crack in the screen). What Activity is this? I haven't seen this screen before. The icon for the Activity does not appear in either the list or favorites view. I will attach it also. I tried a small audio recording in Record to see if this would come up. It did not.